Our silicone wristbands feature high powered LED's and a large imprint site for a pad print. Choose from 3 different light settings; fast flash, slow flash and steady on. 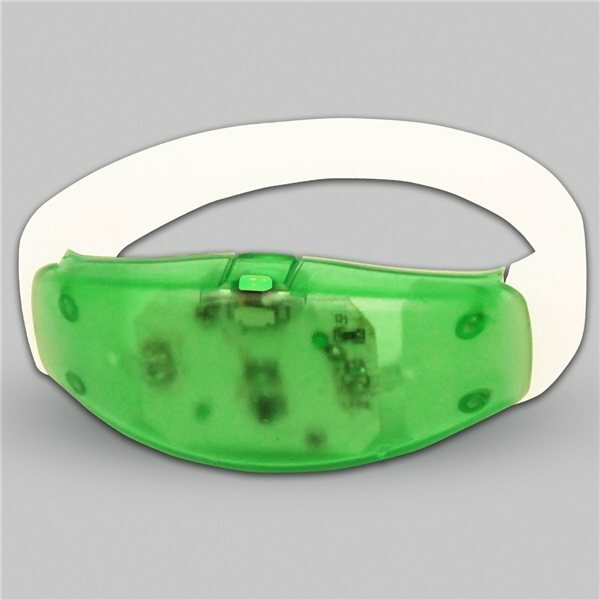 These stretchy silicone bracelets feature white silicone bands and red, green, white or blue LEDs. 2 CR1625 batteries are included and installed.